During the Second World War, new buses had to be built to replace those destroyed. Because of the shortage of materials, however, the bus builders had to find ways of building adequate buses from low grade components. These so called “utility” vehicles were built to strict specifications issued by the Ministry of Supply, which maintained a firm grip on bus building as on so many other industrial activities. One such utility bus was G351, which was actually built just after the war ended, but before these restrictions were fully withdrawn. The overall result is a very angular shape, to cut down on the number of manufacturing operations needed. The frame is of wood, covered with steel panels, just like most buses of the period but built of virtually unseasoned timber and, as a result, these bodies only lasted a short time in service. Nonetheless, they were sufficiently well built to tide the operators over until the War was over and more normal buses could again be purchased. G351 entered service with London Transport in February 1946 at Upton Park garage in east London and stayed there until withdrawal in 1952. It was subsequently sold to Burton Corporation in 1953, along with 5 others, and became No 70 in their fleet, being finally withdrawn at the beginning of 1967. 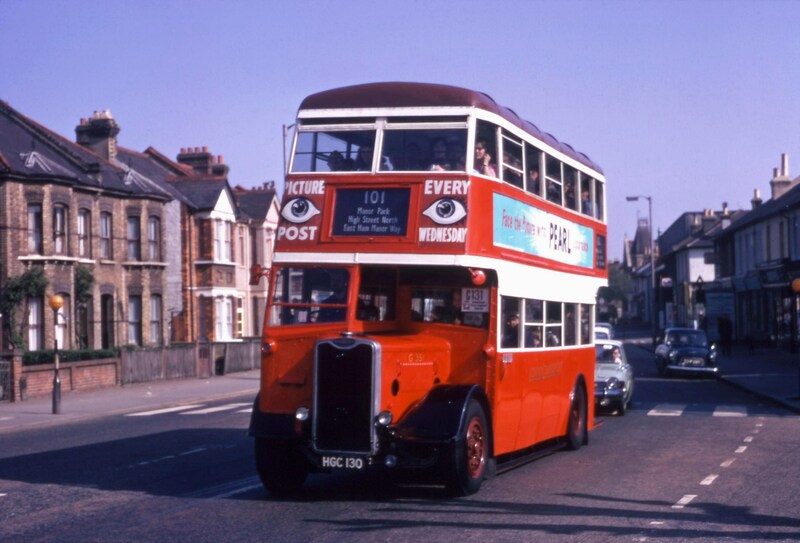 Obtained for private preservation in 1967, the bus is the only remaining example of 435 wartime utility London buses. The vehicle was restored to London Transport livery in the 1970s and rallied for a time until the state of the bodywork forced it to be retired from active preservation. Donated to the Museum in 1980, it underwent a complete rebuild which has taken it back to its appearance when new. The restoration was carried out in two parts, with the chassis and body being separated to aid the process. With the help of the Science Museum’s ‘Prism’ fund, the restoration was finished in 2005.